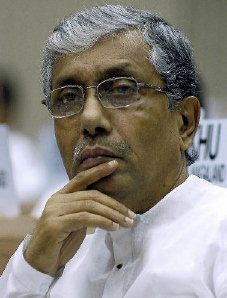 In an exclusive interview with India Today Assistant Editor Kaushik Deka, Tripura Chief Minister Manik Sarkar talks about his party's prospects in2013 Assembly polls, Opposition Congress's link with underground elements and change of his trademark dress-white kurta pyjama. Q. So, how many seats do you expect in the polls? A.Can't tell you exact number but we expect the tally to go up since last polls. The vote share will also increase. Q. You mean to say the Left Front will win over 49 seats? A.We hope so. We will know on February 28. Q. In your election rallies, you have stayed away from talking about your government's achievements. Instead, you are attacking the Congress alleging that the party has a nexus with underground elements. A.My people know what my government has done for them. So I don't want to blow my own trumpet. But it's my duty to remind the young generation what successive Congress governments did to the state. They nurtured underground elements and even now have links with Bangladesh-based terror groups. During the Congress regime, Tripura was known for murder, extortion and violence. Last month, the brother of the Congress president was arrested by Assam Rifles and weapons, foreign currencies and letterheads of banned organisations were found in his possession. Now the Congress has teamed up with INPT, which is headed by a former terrorist who made an anti-India remark at Geneva in 1998. 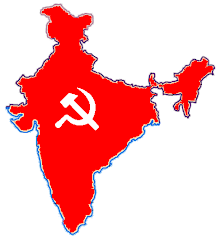 The Left Front government has brought back peace and development to the state. When we took over in 1998, in Bangladesh, there were 52 terror camps belonging to groups active in the state. The number has come down to 19 now.